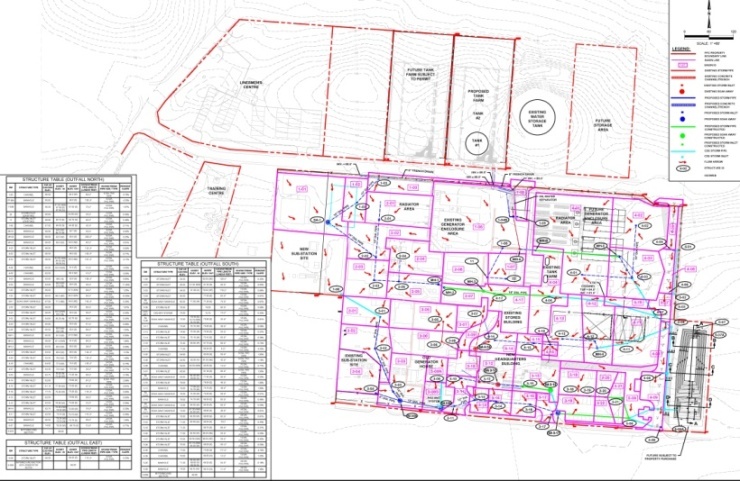 Summary: Erickson Consulting Engineers (ECE) was commissioned by Fortis TCI Ltd to evaluate their existing stormwater capacity and to provide design recommendations to improve the existing facility. As part of the permitting of the site expansion, ECE was contracted to prepare a Best Management Practices Guide and an Emergency Management and Disaster Preparedness Plan for the facility with training of the facility staff with respect to the Best Management Practices Guide and the Emergency Management and Disaster Preparedness Plan. Working cooperatively with other design professionals, ECE conducted planning, design and engineering for drainage at the Fortis site for treatment of stormwater runoff for petroleum and particulate pollutants. 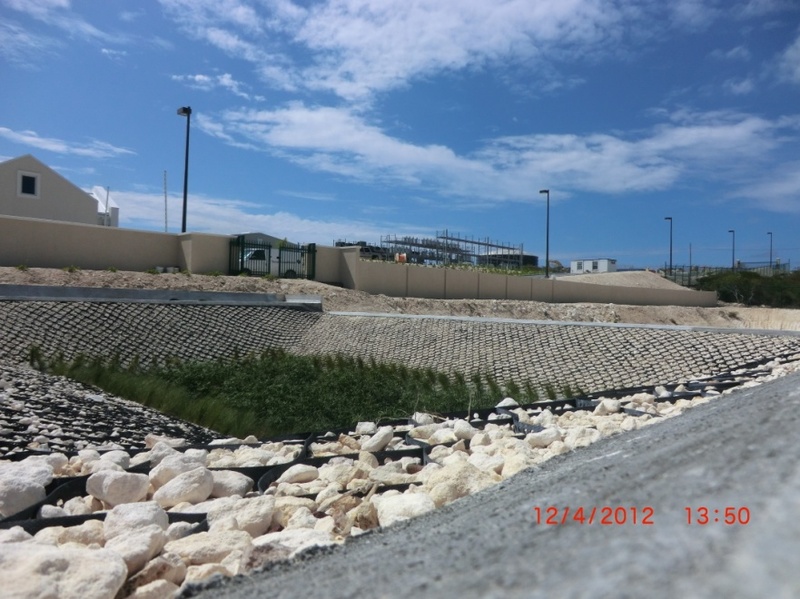 Additionally, CDE provided effective drainage solutions while maximizing the area of usable land for the facility operations. Design development work was performed for: (a) improvements and expansions to existing drainage system; (b) design of stormwater retention areas for the retention and treatment of site runoff during seasonal rainfall events (2-Yr to 15-Yr return period); (c) treatment of stormwater runoff for petroleum and particulate pollutants; (d) cost effective construction by utilizing the existing drainage system and island sources for materials.